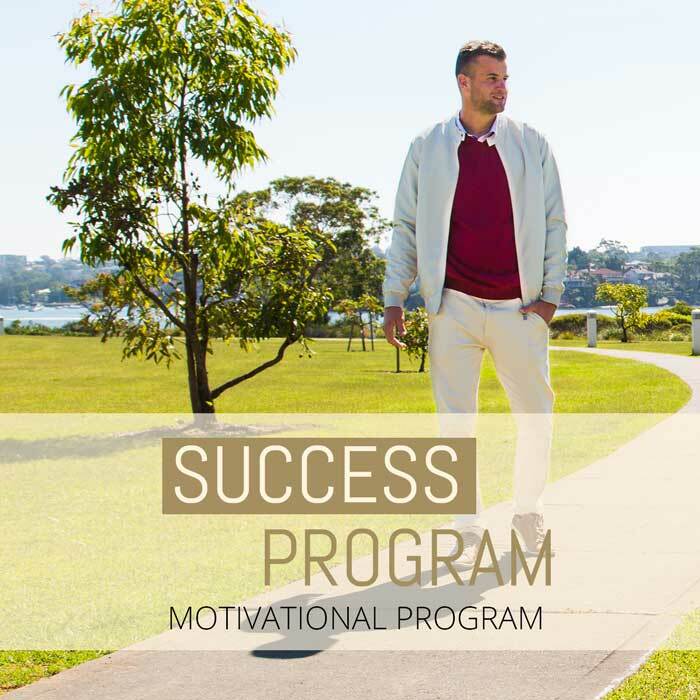 Success Program is an interactive personal growth program that delivers to you motivation, inspiration, and knowledge that you need to successfully keep moving forward. The purpose of Free Success Program is to prepare you for the new opportunities. As you will learn you can only succeed in life if you successfully cooperate with other people. Premium Life will give you an opportunity that you build your own team or network with a certain purpose – to have around you a team of supporters and collaborators. Success Program is going to prepare you to start growing your own entrepreneurial business locally and online! Everybody has something special in us and we will help you to find it and supplement it. If you upgrade to any of our higher programs you will be urged to start growing your own business – set the vision, mission, decide on products, find ideal potential clients, promote yourself and sell. Every day you will be supplied with the Success Principle video of the day which is recorded from one of our multiple leaders. You can also qualify and participate in the production of daily videos to inspire others and help them on their journey. 3-5 times a week you get an access to 10-min The Dream Life Track audio podcast by Primoz Lazar, where he shares the ideas, vision, and understanding on a certain chosen topic. It will keep you engaged and motivated meanwhile you run, walk, work, meditate and anytime else. Every week we are hosting Personal Growth Video Shows where we as members all meet-up together and discuss a certain topic to be acknowledged. We answer to each other’s personal questions, objections and concerns. This is a great opportunity to be engaged and supported virtually from likeminded people. Once a week one of our leaders hosts Weekly Live Coaching Call that you can listen in live or play yourself a recording at any time. The goal of it is to review last week of our common journey and provide you with inspiration and a plan for the next upcoming future week. Don’t miss out on a great interactive program – Success program.